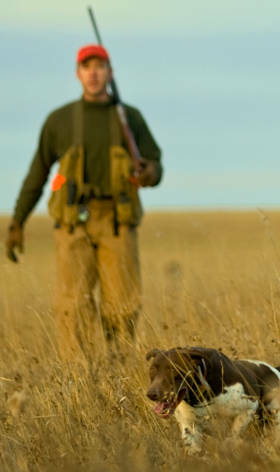 Most hunting apparel made to repel snake bites is heavy, stiff, and uncomfortable. Using a low weight 6 oz. fabric, TurtleSkin SnakeArmor snake chaps, hunting pants, and snake gaiters are one-third the weight of other hunting apparel yet they even repel the fangs of adult rattlesnakes.